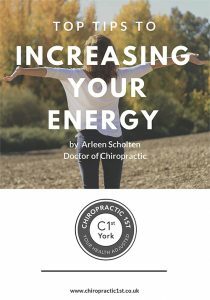 York chiropractor Arleen Scholten DC loves nothing more than watching her patients return to health and be able to do the things they love best. Arleen graduated in 2001 and has a range of special interests; pregnant mums, infants from a few days old, athletes and active individuals seeking expertise so they can remain in their sport and perform optimally, as well as postural correction – as our reliance on computers and technology increase. Arleen takes care of entire families coming in for regular Wellness care to athletes training for big events, which requires their bodies to be in tip top shape. Arleen is a busy Mum of 3 and has been adjusting her children since birth. She and her family love sport and being outdoors. Arleen has successfully run 10 marathons and over the past few years has found Triathlon and is hooked. She believes regular Chiropractic care has been fundamental in keeping her healthy and injury free through all her training and leading a very busy lifestyle. 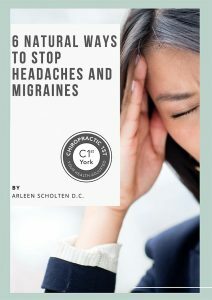 Arleen understands how the many stresses and strains of modern life may challenge your overall health. Her focus is to clearly understand what your health goals are. What do you hope to achieve and be able to do again or better? Her aim is to help get you there. As Chiropractors our job is to understand why your body is ‘malfunctioning’ and to restore normal function so you are able to heal naturally. You will normally be given some ‘homework’ to do to speed up the healing process. Exercises, stretches, and relevant lifestyle advice is regularly given. Arleen will do a series of orthopaedic, neurological tests, posture analysis and computerised muscle scans to determine what is and isn’t working. 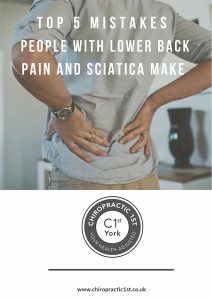 As your brain and spinal cord act as your ‘computer’ for every single action and function in your body it only makes sense to ensure the spine that protects this system is moving optimally. This is achieved through specific Chiropractic adjustments. Call 01904 659 679 for any further information or to book an appointment with Arleen.